The Freezer offers apartments for families or small groups travelling in west iceland. The apartments are in hellissandur very close to snæfellsjokull and snaefellsjokull national park west iceland. For those who would like to have a little privacy and relaxation, booking one of our family- or studio apartment could be ideal. The apartments are in our neigbour town, Hellissandur, a short 3 km drive away from The Freezer itself and placed in houses that have been renovated and decorated by artists working at The Freezer. The apartments are perfect for those who intend to experience the art and culture at The Freezer but are also wanting to have a little more time and space for cooking, taking a longer shower and sleeping amongst friends and family only. 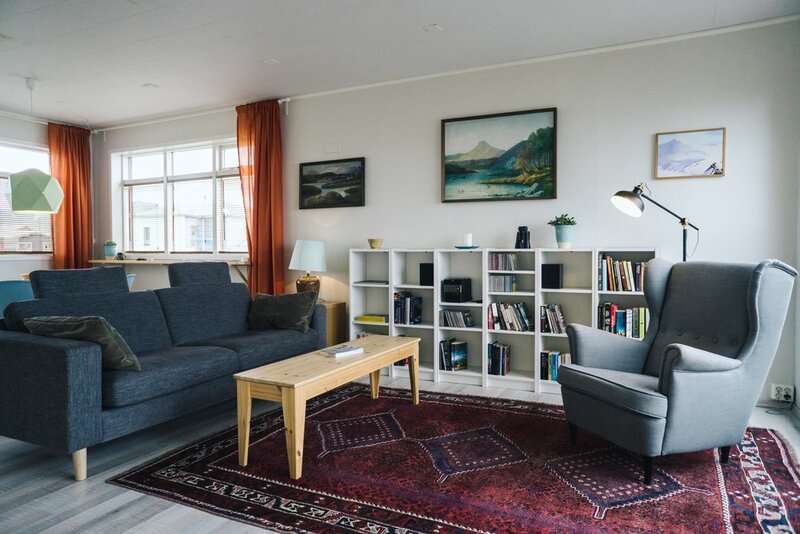 Our apartments are on the doorstep of Snæfellsjökull glacier national park and therefore perfect for those looking for natural wonders and northern lights.